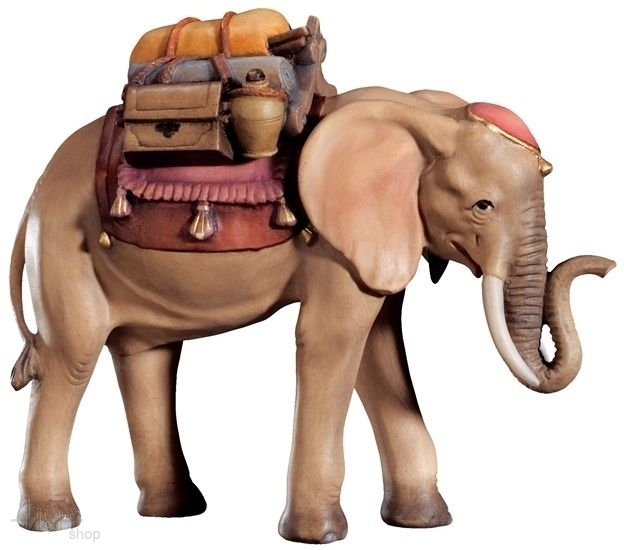 Elephant with Saddle - Sculpture in wood of the Matteo Nativity. Standing sheep - Sculpture in wood of the Raffaello Nativity. Eating sheep - Sculpture in wood of the Raffaello Nativity.